The Boston Beer Company recently announced the launch of 26.2 Brew. Through the company’s new endeavor, Marathon Brewing comes a golden, hazy ale that offers athletes a refreshing reward for their hard work that tastes delicious, too. No more sacrificing great flavor for function! Brewed with Himalayan sea salt and coriander, 26.2 Brew provides drinkers a crisp body and refreshing finish with only 120 calories. The brew was created by Advanced Cicerone Shelley Smith, a marathon runner, and triathlete, with decorated running champions Meb Keflezighi and Des Linden. 26.2 Brew was developed by Shelley Smith, a brewer, marathon runner, and triathlete, to provide purpose and balance for drinkers seeking more. "As someone who loves beer and running, having the opportunity to brew a beer that helps runners celebrate their hard work was a passion project for me," says Shelley Smith, Advanced Cicerone and Manager of Research & Product Innovation at The Boston Beer Company. "Understanding what is important to runners is what made brewing this beer different from what is currently available. While most brewers are stripping flavor to hit a certain calorie mark, we focused on brewing a beer that not only fit what runners were looking for but also delivered a great taste." As she developed the recipe, Smith invited other runners, including her brewery teammates as well as decorated champions Meb and Des, to gain insight into what drinkers and athletes want in a beer. "I've run my fair share of marathons over the years, and there are countless finish lines throughout the training process that deserve a celebration. Anyone who has trained for a marathon—who is dedicated enough to wake up before dawn or face the elements to get their miles in—knows that part of training is running for the reward," says marathon legend Meb Keflezighi, the only athlete ever to win the New York City Marathon, the Boston Marathon and an Olympic medal. "26.2 Brew celebrates runners' hard work and achievement with high-quality ingredients and a really great taste." 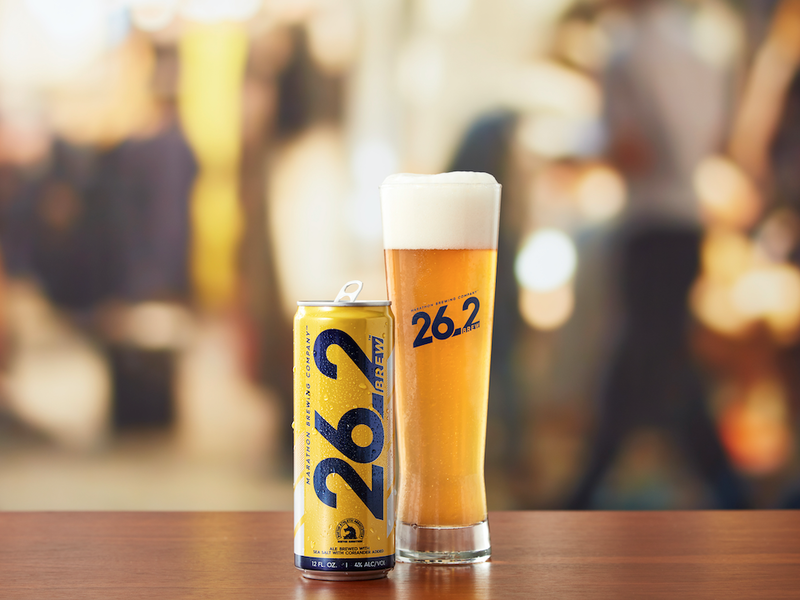 The new 26.2 Brew evolved from the original Boston 26.2 Brew, available for the past seven years in and around Boston during the Boston Marathon. As consumers increasingly seek wellness-minded activities and better-for-you options, the demand for healthier alternatives increases. Lucky for us, 26.2 Brew is now available in-store nationwide—so run, don’t walk!